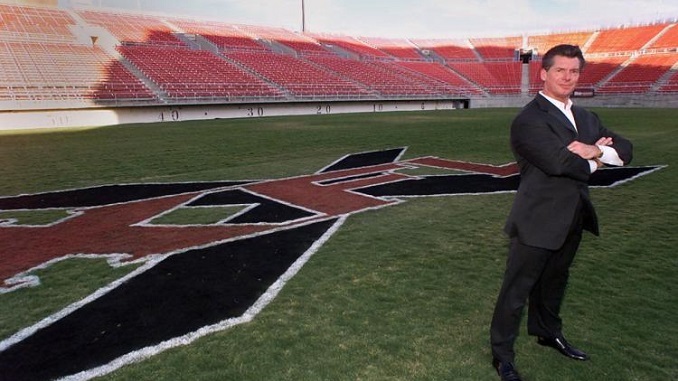 Vince McMahon made national headlines, and became quite the talk of most major sports outlets and talk shows, when he came out and said that he plans to bring the XFL back as early as 2020. Anyone who knows anything about Memphis history or was around to witness it, knows that McMahon tried this venture with the Memphis Maniax. Again, anyone with even the slightest knowledge of Memphis history or the XFL knows that the league only lasted one dismal season. Through a litany of issues and never-ending problems, Vince McMahon called it quits and returned to what he did best – the WWE. However, with tough lessons learned, one of the lowest approval rates the NFL has ever seen among its fanbase, continuing problems with the NCAA and its players, and finally an untapped football fanbase in the spring all could lead to a legitimate chance to succeed this time around. The reason I say Memphis, and really the entire south for that matter, is a good choice, even to this day, is rather simple. Over the course of the past four years, Memphis has turned into a football town because of the rising Tigers Football program and our two mainstays of basketball in the Grizzlies and Tigers Basketball programs hitting all time lows in performance and attendance. Not to mention, Memphis is a melting pot of football diehards of all SEC teams. This, coupled with the city always welcoming additional money, makes Memphis a shoe in for a future XFL team. The Liberty Bowl remains empty for most of the year when the Tigers aren’t in season. This creates a means of income and revenue for the city. The XFL needs to tap into the resources of the Southeastern Conference. This isn’t to say go play in all of the towns where SEC teams play, but more to allow professional teams during a traditionally non-football time of year to come into each state and grow a fanbase that already yearns for more football. Look at it this way; Alabama, Arkansas, Mississippi, and South Carolina don’t have an NFL affiliate. Of the states with SEC teams that do (Louisiana, Georgia, Texas, and Florida) only one has more than one NFL affiliate. That leaves a lot of football to be watched in the south. Anyone who is a fan of an SEC team knows that the only other conference that could attempt to rival the the cult-like status of the SEC is the Big Ten. And even then, it’s not really that close. The XFL’s key to success across the country for ticket sales and viewers will undoubtedly be finding regions with a large collegiate football passion with no professional teams to truly follow or represent them. Finally, and it’s not really a mainstay of Memphis but more of a product of today’s multi media resources, McMahon and the XFL can distribute their games on a plethora of viewing platforms. Back in 2001, they were stuck on NBC and it just didn’t come close to what both the NFL and NCAA could throw up on their several different distribution resources. Today, with the rise of streaming sites like Amazon and Hulu, the possibilities are truly endless.